Unsurpassed warrantees – Our free one year warranty will protect your frame and lenses for one year from the original date of purchase against manufacturing defects. We also have extended protection available which will protect your eyewear for up to two years including loss. 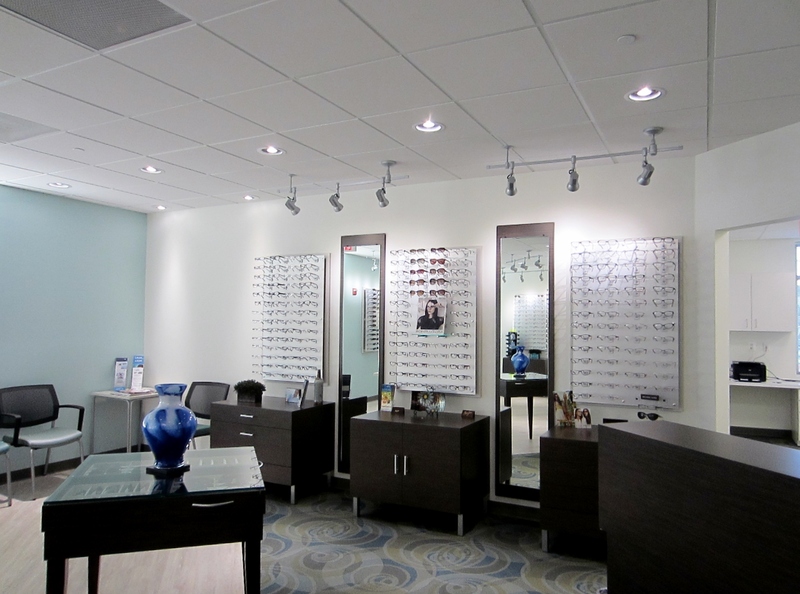 Value Packages – Complete frame and lens packages starting at $99.00! 100% Satisfaction Guarantee – Let us know right away if you have a question or concern, and we will review your prescription, compare it to your glasses, and if needed, we will replace them for you at no charge. Price Protection Guarantee – If you find an exact pair of glasses advertised anywhere else for less, we will match that price. The Optical Shop takes pride in our selection and keeping up with all of the latest designers and trends are of the utmost importance to us. Eye Zen Lenses for reducing eye strain associated with computer and handheld electronics usage. For single vision wearers, comes with smart blue filter to reduce harmful blue light wavelengths. Transition Lenses, which go from light to dark, according to changing light. Gift certificates are now available for sale in our Optical Shop and can be purchased for any dollar amount you choose. We are pleased to display artwork from a local photographer, Damon Moore, in our Optical Shop. Born in New York and raised in Northern Virginia, Damon Moore has more than 25 years’ experience in professional photography. Damon has work experience from Italy to New York to our very own Washington, DC. His work has been published in numerous magazines globally, working with big names such as Paul Mitchell, Elizabeth Arden, Sophisticate Hair Magazine, Black Hair Magazine and Celebrity Hairstyle Magazine; as well as working with local talent such as Riccardi’s Men’s Clothing of Georgetown, PR & Partners, Salon Nordine& Day Spa, jemmamorris.com, Classic Trends hair salon, and Allen Jordan hair salon. “Photography has not been just a job for me, I aspire to find the best in each individual or subject, capturing human nature at its best. This is my ultimate passion.” I hope you enjoy the pieces exhibited here at Virginia Eye Center. To see more or if you have questions about what we do, you can reach us through our website at capturemoorephotos.comor call 571.331.3255.